Vona Groarke was born in the Irish Midlands in 1964. A graduate of Trinity College, Dublin, and University College, Cork, Groarke has worked in the UK, the United States, and Norway. She has held various teaching positions over the years, including the Heimbold Chair in Irish Studies at Villanova University, a professorship in Wake Forest University’s English Department from 2005–2007, and a Writer-in-Residence position with the National University at Galway and Maynooth. In 2010, she was elected to be a member of Aosdána, the Irish academy of the arts. Poetry collections by Vona Groarke include Shale (1994), Other People’s Houses (1999), Flight (2002), Flight and Earlier Poems (2004), Juniper Street (2006), Spindrift (2009, 2010), and X (2014). In 2008, her translation of the classic Irish poem, “Caoineadh Airt Uí Laoghaire” by Eibhlín Dubh Ní Chonaill, was published as Lament for Art O’Leary. She is published in Ireland by The Gallery Press. 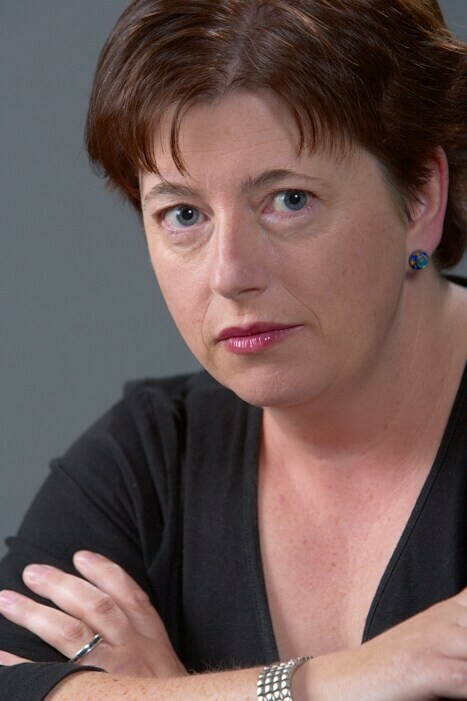 Groarke has won a number of awards for her poetry including the Hennessy Award, the Brendan Behan Memorial Prize, the Stroketown International Poetry Award, and the Stand Magazine Poetry Prize, and she was the runner-up in The Times Literary Supplement Poetry Competition in 2003. Her most recent publication, X, was a Poetry Book Society Recommendation. Her poems have recently appeared in Yale Review, The New Yorker, Kenyon Review, Boston Review, The Guardian, The Times, and Poetry Review. She lives in Manchester, England, with her two children, Tommy and Eve, and currently teaches at the Centre for New Writing at the University of Manchester.